Trying out the henka moves introduced here straight away in matches will probably not work out well. There is a saying: practice like it’s a match, and play the match like it’s practice. When you use an untrained skill in a match, it will not succeed. Try it out in practice, and develop a henka technique that suits you. As you raise your shinai upward to aim for the men, watch your opponent also life his shinai, and go for the kote. This is a basic henka technique, but there is also the opposite where you pretend to strike the kote and as the opponent’s shinai is lowered you go for the men. There is also the move where you pretend like you are aiming for the men but strike the do. In such cases, avoid striking the left do. The left do is unlikely to win an ippon. 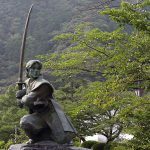 Because the samurai used to keep the Japanese sword in the sheath on the left side, it was said that even if you strike his left the sheath will protect the body. Perhaps because of that, striking the left do is not easily counted as ippon. 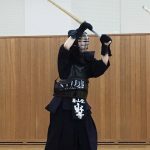 With this technique, instead of raising the shinai straight up above the men, you lift it onto your left shoulder. When your opponent sees this, he or she will not expect you to strike the men and will guard the kote. You then aim for the men. 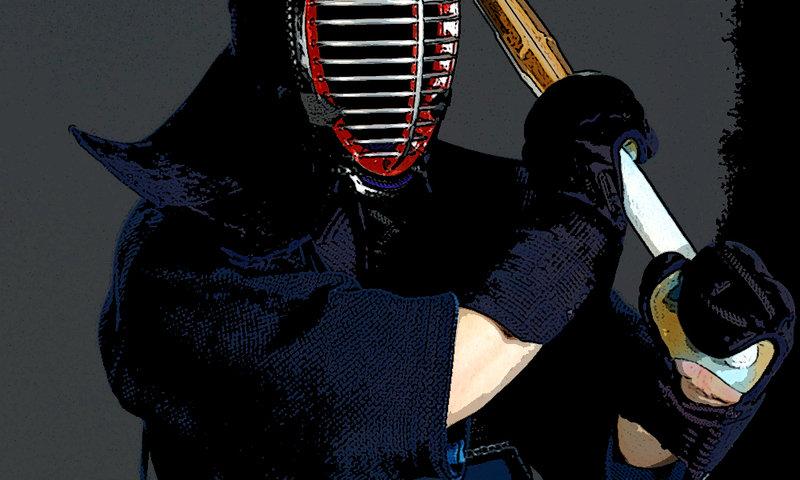 An effective way to try for this move is when you withdraw from a tsuba-zeriai (swords locked against each other). After the tsubazeriai is over, usually one would like to take a breather. If you then lift your sword onto the shoulder, your opponent will naturally defend the kote. 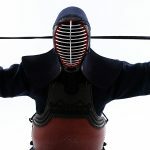 You will find out if you actually try this, but your opponents motion will be small, so it is an effective technique in striking the place you aim. But it is a technique that catches your opponent off-guard, so using it repetitively will diminish its effect. Use it sparingly. When the sword-edge is lowered from the usual position, your opponent will try and guard the do or kote. When you see the opponent’s shinai being lowered, seize that moment to strike into the men. This has a good rate of success when you are pulling back from a tsuba-zeriai or from bodies clashing. But be careful that you don’t let your opponent strike your men, as your sword is lowered too. 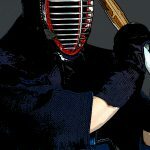 In practice, you do the double-strike move, hitting kote-men, or men-kote. You don’t usually hit the same place twice. Therefore, most people, if their opponent strikes their kote, they will next try and defend the men. You can flip this around, and do an air-strike on the kote, then double up on striking the kote for real. Aim for the face of your opponent’s shinai, and try and let your sword’s handguard hit the opponent’s shinai, and proceed to strike the kote. Of course, do not be fixated only on the kote, but watch how your opponent reacts so you can switch to striking the men or do. The important thing is to deliberately miss the kote on the first strike to watch how your opponent moves. Also, trying to strike the men or do consecutively can cause you to lose your balance. You are more likely to fail, and even if you succeed it may not be considered ippon. 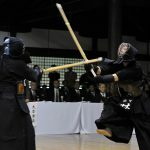 The henka technique in kendo is about taking the initiative to act in order to create gaps in your opponent’s defense. So it is important to be proactive in attacking, but if you attack aimlessly you will be in danger being countered. It is therefore important to create conditions in which it is easy to pull out the henka. The henka move works well when your opponent relaxes for a moment. Humans tend to let down their guard when they breathe out. If you seize that moment and apply henka moves, your opponent will be so fixated on defense and forget about attacking. For example, when your opponent strikes and then withdraws the shinai, or when he or she deliberately stomps on the ground, he or she would naturally want to take a breather. Seizing that moment will lead to effective henka moves.